Released in the late fall of 2011, Minecraft is a sandbox game created by a Swedish video game developer Markus Persson. Minecraft is a game that allows the player to unleash his creative self, to create his own worlds and adventures and to be whoever he wishes to be. The game has sold over 144 copies so far, which makes it the second best-selling video game of all time. Due to this, many game developers have tried to replicate what Markus did with his game and to eventually draw new players into experiences similar to those that Minecraft offers. Let’s take a look at some of the top games like Minecraft that are available to you. 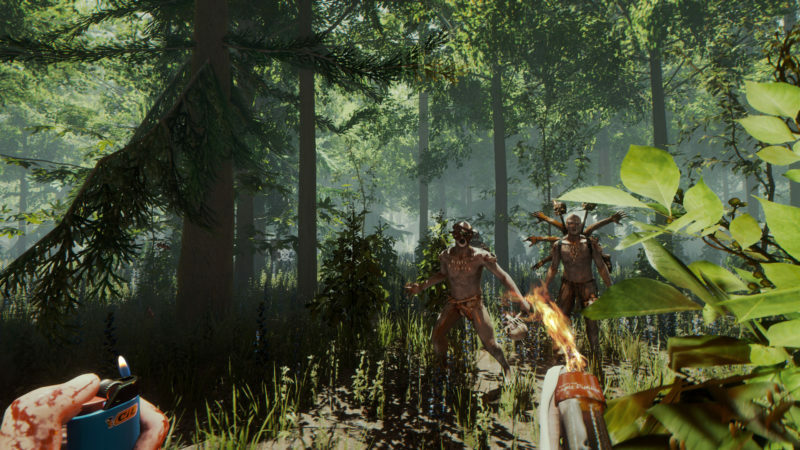 The Forest is an open world survival video game developed and released by Endnight Games in 2018. The player is given the role of a plane crash survivor who is stranded on a peninsula, roaming through the forest surrounded by creatures and mutants who try to hunt him down and eat him. In order to survive, the player must collect resources, weapons and create shelters to fend off the attackers. The survival vibe that this game brings is what makes it similar to Minecraft, but what makes it different is that it is more terrifying, especially when you get caught and dragged by nightmarish monsters straight into their underground pit. Released in 2016, Stardew Valley is a farming simulation video game developed by Eric Barone. 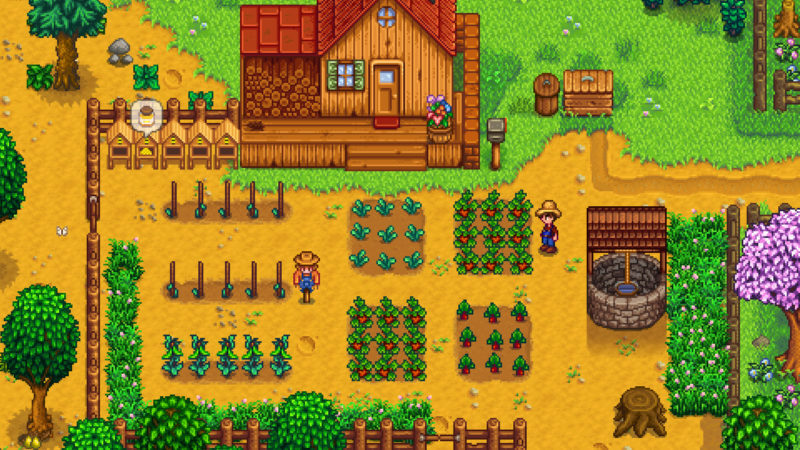 The main premise of this game is that you are a farmer on your late grandfather’s farm in a place called Stardew Valley. 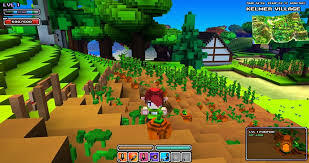 After creating the character, the player has to perform tasks to help his farm grow, such as planting and tending crops, crafting goods and mining for ore. There are quests that will earn you additional money, you can have social interactions with other non-playable characters and even get married! There are caves that you can clear to get more resources, but you have fight off creatures living there. If you are one of the players who enjoys farming in Minecraft, then Stardew Valley is certainly a game for you. 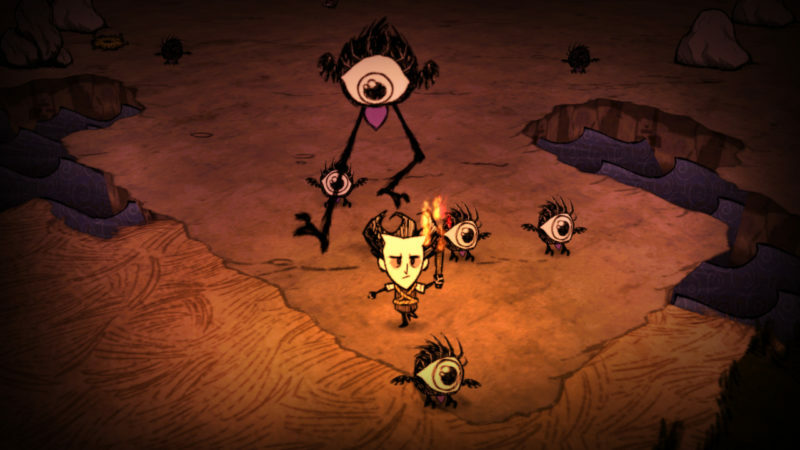 Don’t Starve is a game influenced by Minecraft where the player takes the role of a scientist named Wilson who finds himself trapped in a dark and scary world. The game is an open world survival video game where the player has to gather resources and find food to prevent Wilson from starving. The goal of the game is to survive as long as possible, and as you progress you get experience points which will allow you to unlock other playable characters. This game has an interesting aspect, as during the day you are mostly involved in exploring the environment, looking for food and collecting resources. When the night comes, however, the main task is to survive the onslaught of supernatural monsters and enemies hunting you down. Sometimes referred to as the “2D Minecraft,” Terraria is an action-adventure sandbox video game released in 2011. Similarly to Minecraft, the game involves exploration, gathering resources, combat and crafting. Starting with a single pickaxe, sword and axe, the player starts gathering resources and ore, which can be found in specific areas, but they can also be found in special containers and dropped by enemies. The enemies themselves are of various type, and they can be fought with either weapons or spells. The playable character has a certain amount of health and magic points (which can be increased by certain items), and there are NPC characters throughout the world where you can buy or sell your items. The next entry on this list of Minecraft alternatives is Ark: Survival Evolved; which is another survival video game where the player has to defend himself with firearms and other weapons against unfriendly humans and creatures. Similarly to other survival games, the player can set up a base, collect resources and weapons to keep up with the harsh environment. The creatures that you are up against are dinosaurs and at the moment there are 123 species of them, most of which can be tamed by your character. There is a level up system in this game, as the player can level up after gaining enough experience points through killing, crafting and harvesting materials. The player can build his base and other structures with various materials, and the level of protection depends on the quality of the materials collected. If you want to switch from killing creepers to killing dinosaurs, this is the game for you. CubeWorld is a Minecraft alternative that provides a combination of sandbox and RPG elements. Similarly to Minecraft, the player is placed in a huge randomly generated world built of blocks which consists of various dungeons, but also areas such as forests, oceans and deserts. The player can choose from four different classes when creating the character: warrior, mage, ranger and rogue. The game has character progression, since the player can level up the character with experience points gained by killing monsters. The game also involves crafting, as the player can create new potions, weapons and armor. Overall, the vivid colors and cartoonish look of the game will certainly make Minecraft players feel at home. 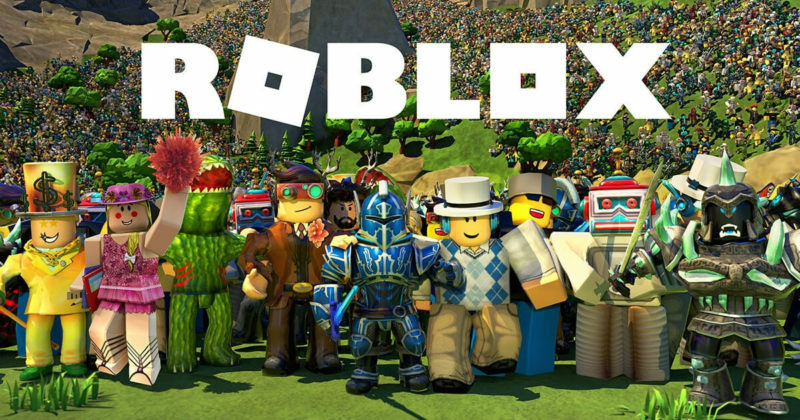 Roblox is a free massively multiplayer online game released in 2006, but still very popular up to this date. This game is sort of a platform which allows players to create their own games or play games created by other players. Almost everything in the game is created by the players playing, which means that there is a greater focus on social interaction and team building. The players can group up with other players when constructing their own worlds and there is even a guild system where players can form their own guilds. Even though the game was primarily focused on younger audiences due to its educational characteristics, adult players can also enjoy the limitless possibilities that Roblox offers. Trove is a sandbox MMORPG developed and published in 2015 by Trion Worlds. Visually similar to Minecraft, the game offers character customization as there are various different classes to choose from, each of them offering different aspects and play styles. Players can join different worlds through portals, and as they level up the worlds themselves get harder and harder, offering better rewards and resources. Players can craft their own items, but they can also be obtained by defeating enemies or by buying them from the in-game shop. 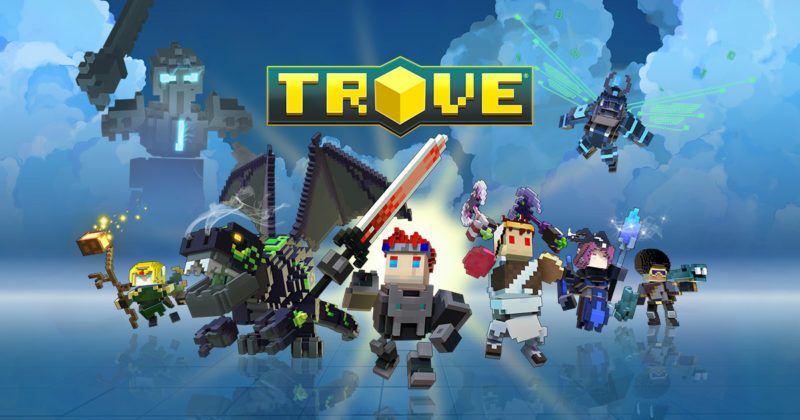 As mentioned, Trove is graphically very similar to Minecraft in terms of its world being built out of blocks, but it is more focused on the MMORPG aspects such as looting, clearing dungeons and defeating bosses. Portal Knights is a 3D survival role-playing game developed by Keen Games and published in 2017. 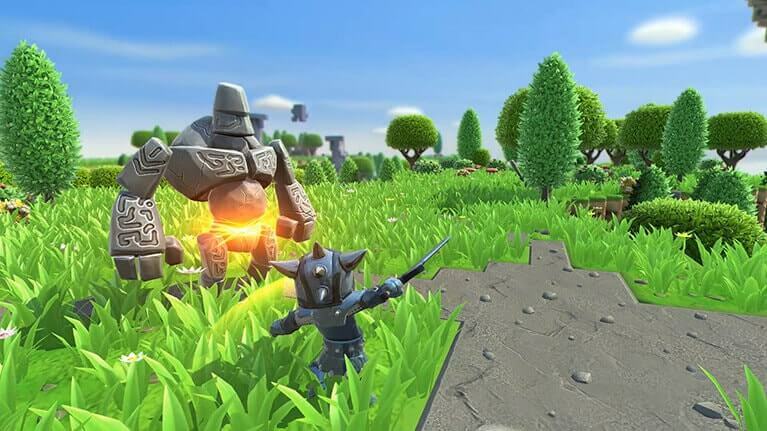 Portal Knights combines sandbox and RPG elements into one whole. The player creates the character by choosing from three different classes, and after that he can use portals to move around and explore different worlds. There is a great focus on crafting in this game, as the player can craft and upgrade weapons and armor which can then be used to fight enemies. He or she can also craft furniture, such as chairs, tables, beds, and you can even construct entire buildings. You can play with up to 4 friends in a single environment, but you can also play solo. Portal Knights is a game similar to Minecraft both in terms of its visual look and in terms of its RPG aspects. The final entry on our list is Rust, a more recent multiplayer survival video game developed and published in 2018 by Facepunch Studios. The player takes the role of a character placed in wilderness together with other players and animals, and the goal of the game is to survive by collecting weapons, resources and defeating enemies. 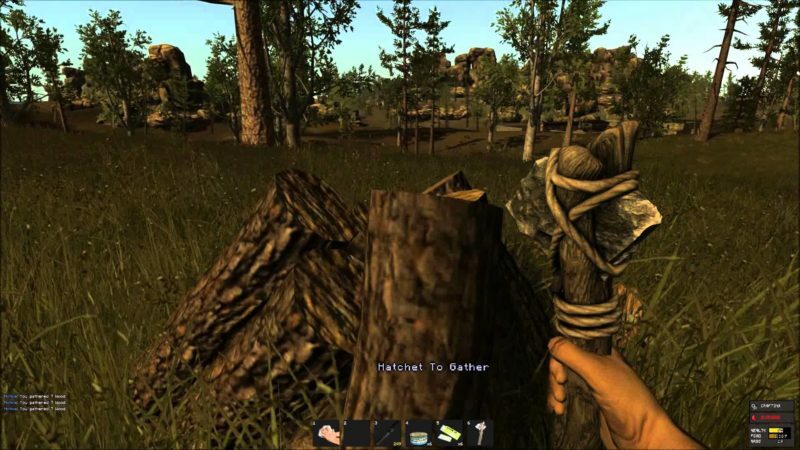 The player starts with a single rock and a torch and gradually progresses by gathering resources through mining, killing animals, chopping trees, only to later use the same resources for crafting weapons and tools. There are multiple ways of dying, such as starvation, illnesses, drowning or simply being killed by animals. Although the game has similar elements as Minecraft, it is certainly a bit more realistic given that you are placed in a real world environment fighting against other humans and animals. The list above features some of the games that can serve as a proper alternative for everyone’s beloved sandbox hit Minecraft. If you are an adventurer who likes to test your ultimate survival skills by venturing into the infinite open world environments only to face calamities and enemies of different types, this is the list for you. It is up to you whether you will take a more realistic approach in some games, or whether you like to test your imaginative capabilities in others. If you do know of other games that are worthy of a mention on this list, do leave your comments below!